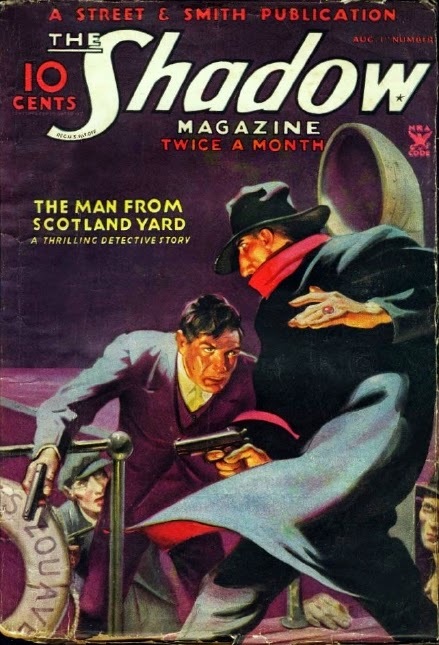 I hadn't read a Shadow novel in quite a while and was in the mood for one, so I picked a story that I'd heard was pretty good, THE MAN FROM SCOTLAND YARD, which appeared in the August 1, 1935 issue of THE SHADOW. It turned out to be a decent choice, but before I talk about that, I'm going to wallow a bit in nostalgia. Consider yourself warned. I have a long history with The Shadow. I first encountered the character in syndicated reruns of the radio show back in the early 1960s. I thoroughly enjoyed them, although I had no idea at the time of the character's pulp origins. 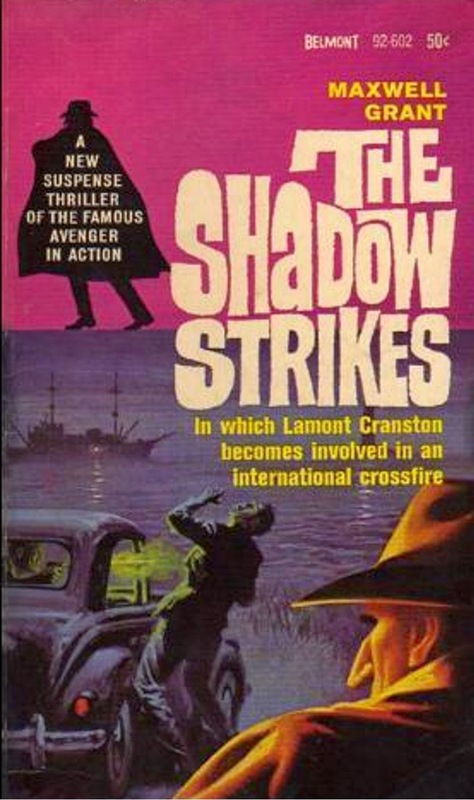 A few years later, on the paperback spinner rack in Tompkins' Drugstore, I came across the Belmont edition of THE SHADOW STRIKES, the first original Shadow novel by Dennis Lynds, writing under the house-name Maxwell Grant. Of course, I didn't know then that Lynds wrote it, and I certainly never would have guessed that years later he and I would become friends through correspondence. All I knew was that I loved the book and thought this version of the character was even better than the one in the radio show. Lynds wrote more Shadow novels for Belmont over the next few years, and I snatched them all up as I found them and read them with eagerness and great enjoyment. Moving on, a few more years went by, and I found the Bantam paperback reprint of THE LIVING SHADOW, the first novel in the pulp series from 1931. I still remember reading it while sitting on the front porch of my aunt's house in Blanket, Texas, seemingly unable to turn the pages fast enough to keep up with the excitement of the tale. This was the best Shadow so far. 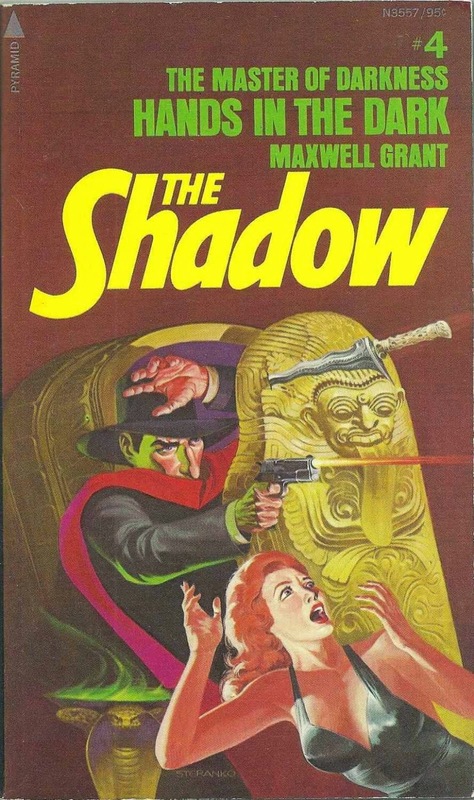 In the 40 years since, I've read many, many Shadow novels, some in reprint and quite a few in the original pulps. I remember sitting in the hospital reading a Shadow pulp right after our first daughter was born, while Livia and Shayna were both sleeping. THE SHADOW ran from 1931 to 1949, and the quality of the series breaks pretty neatly in the middle. The stories from the 1930s are consistently good to excellent, although there are some mediocre entries in the bunch. The 1940s stories are just the opposite: some gems here and there, but mostly bland, uninspiring little mysteries. No criminal super-masterminds, no hordes of vicious gangsters being mowed down by The Shadow's .45s, no apocalyptic action scenes. So where does THE MAN FROM SCOTLAND YARD fit in? Sort of in the middle. The main plot concerns a gang of international spies who are out to steal some weapons plans and sell them to an unnamed power in Europe. (Cough*Germany*cough.) It's somewhat interesting but not that compelling. But there's a great scene where The Shadow lands his autogyro on the deck of the bad guys' ship in the middle of the Atlantic and goes to town with those .45 automatics. A few other action scenes are pretty good, but overall there aren't as many of them as in some of the novels, and The Shadow is off-screen a lot. Quite a bit of the story consists of guys standing in hotel rooms talking. However, through a very neat bit of trickery, Gibson sets up a situation where the reader doesn't know if one of the characters is really a hero, a villain, a hero pretending to be a villain, or vice versa. It takes almost the entire novel for that conundrum to be resolved, and I enjoyed being puzzled. THE MAN FROM SCOTLAND YARD doesn't reach the operatic heights of some of the early novels, but it's considerably better than most of the ones I've read from the Forties. It was reprinted a while back in one of those double editions with ZEMBA, a novel that's considered by many fans to be one of the best in the whole series. That edition seems to be out of print, but I imagine copies can be found at various places on-line. I enjoyed THE MAN FROM SCOTLAND YARD enough that I plan to read another Shadow novel fairly soon. Of the early SHADOW titles, I really liked THE DEATH TOWER Jan. 1932. Always thought this one would have made a wonderful start for a film franchise. Highly recommended. I enjoyed every Shadow novel I read until the Bruce Elliot period, but you're right James, some were definitely better than others. I particularly liked those early years when The Shadow remained a mystery figure in the background. I discovered the Belmonts with Gibson's "Return of The Shadow" while stationed in Turkey. It was my first connection to The Shadow prose stories. Before that, I only knew him as the radio persona. I also loved the Dennis Lynds entries. As I think we've discussed, I was listening to those Shadow radio reruns at the same time you were, though I was a lot older. I'm surprised you were allowed to stay up that late. I rarely see these paperbacks any more, and wish I'd picked some up 20 or more years ago when they were common in used books stores. Now, of course, I'd like to read a couple, especially after this review. I read THE DEATH TOWER when Bantam reprinted it and remember liking it a lot. I ought to give it a reread one of these days. You wrote a book about the Lynds Shadow novels, didn't you? Or at least an article? I wasn't allowed to stay up that late. That's why I had a transistor radio with the sound turned really low pressed to my ear while I was supposed to be sleeping. KRLD in Dallas also ran an episode of The Shadow on Sunday afternoons, I think, and I listened to those, too. You're right, I don't see the paperbacks much anymore. I have a few, but far from a complete run. I'll have to track down a copy of THE DEATH TOWER. The SHADOW paperbacks are rare commodities today. There are quite a few copies of the Bantam edition of THE DEATH TOWER available for less than ten bucks on ABE and Amazon. I have a copy, just need the time to read it. Is Will Murray still reprinting these? It was Anthony Tollin who was reprinting them, with intros by Will Murray, but that series appears to have come to an end last year. They're very nice volumes, and many of them are still available fairly inexpensively on Amazon. James, I wrote a long essay on the Belmont Shadows and published it in our FADING SHADOWS magazines years ago. Later it was included in ECHOES 30, the big anniversary issue of ECHOES published by Matt Moring at ALTUS PRESS. Lots of other data in ECHOES 30. I have a few Shadow paperbacks for trade, but none of the Belmonts. I have exactly one of the Shadow reprints from the nostalgia line: Partners in Peril/Lingo/The Grim Joker. This is the one that Jerry Robinson drew inspiration from when he co-created Batman. A side-note on this one: of the two novels reprinted, only one was Gibson. The other was Theodore Tinsley, a name I never knew. Tinley’s story, “The Grim Joker” is also included in this volume, the inspiration of the more famous nemesis of Batman. I thought I remembered that, but I don't always trust my memory these days. 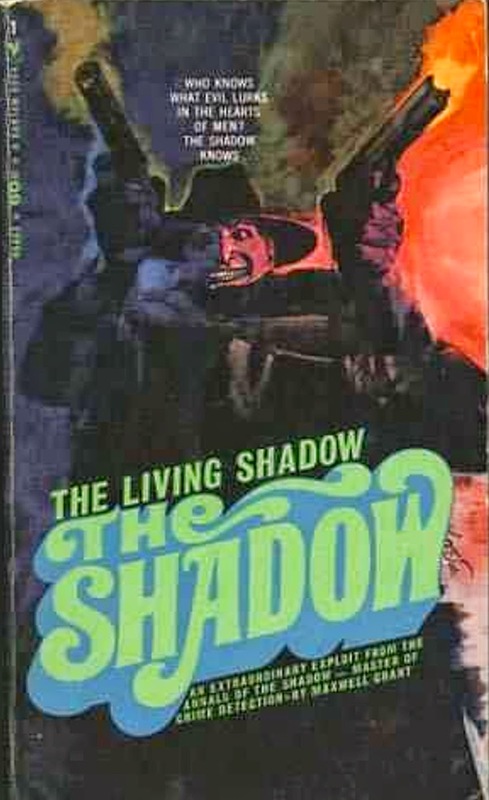 Tinsley wrote 27 of the Shadow novels. All the ones I've read have been pretty good. He also wrote lots of other stories for the mystery and detective pulps, including a series about one of the first female private eyes, Carrie Cashin. He was a good solid pulpster. James, I just put the cover of FROM SHADOW TO SUPERMAN, the FADING SHADOWS book we published about the Belmont Shadow series, on my FB page at https://www.facebook.com/tomginger.johnson Ron Wilber did the cover for it. Tinsley also wrote a series featuring Jerry Tracy, a reporter who solves crimes. That inspired me to spin-off my own reporter character into his own series. Amazing how things just happen, huh? I have a massive e-book collection of all the Jerry Tracy stories, but I haven't read it yet. I think it's still available from Open Road/Mysterious Press. Not coincidentally, so do I. The intro is well done. I love Tracy's sayings.